Huge, sweetly scented heads and a unique ‘frosted’ appearance to the individual flowers. 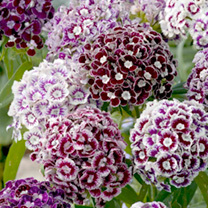 Vigorous, bushy, long-flowering plants producing heads up to 12cm (4½") across, in shades of purple with contrasting white edges. Height 50-70cm (20-27"). HHA/HB - Half hardy annual/Hardy biennial. Colourful plants for cut flower or combining with your spring tulip displays in borders and containers. 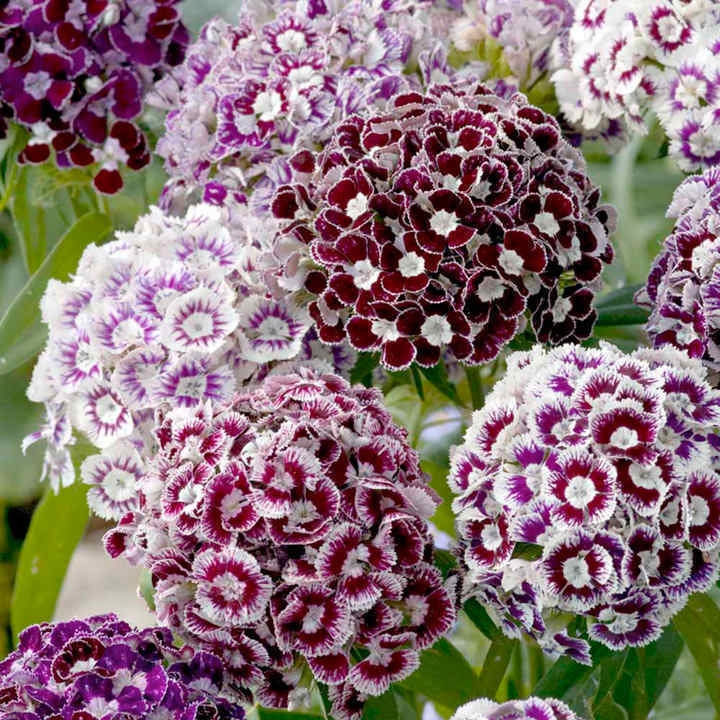 Easily grown, they have a delightful fragrance at a time when scent is in short supply in the garden.